It’s a cliché, yes, but what goes into something really does impact what you get out of it. Most of us nowadays strive to use the best ingredients when we create exciting meals in our kitchens, and finding top quality producers close to home ticks all the boxes for maximising flavour through freshness. A recent trip in my beloved old van, Poppy RustyBus, took me on an adventure along the North Devon coast to visit Lee Meadow Farm – the home of Glampig. The farm’s story is one of real passion and vision, with 20-year-old farming entrepreneur Rocky Lethaby starting the new farm to fill the niche of quality pork production in the area. 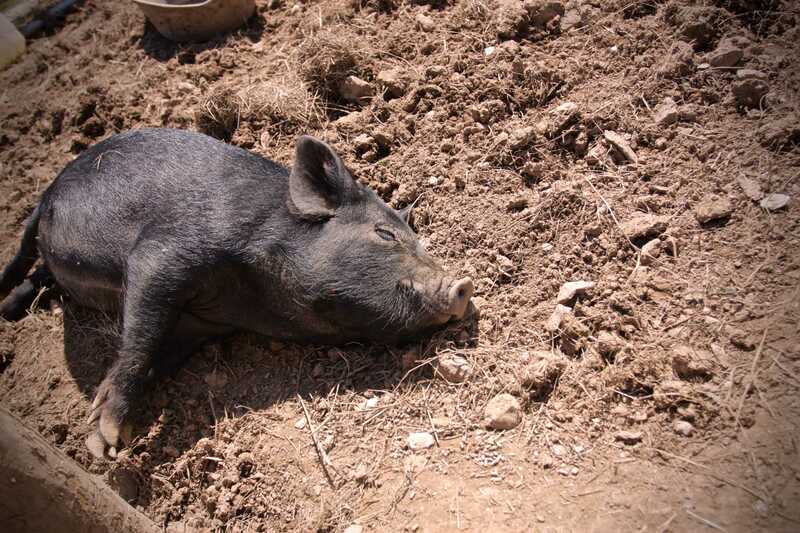 Starting with not much more than a few pigs and a dream, his farm quickly became noticed by Jim Duncombe who started making Glampig sausages in 2013. 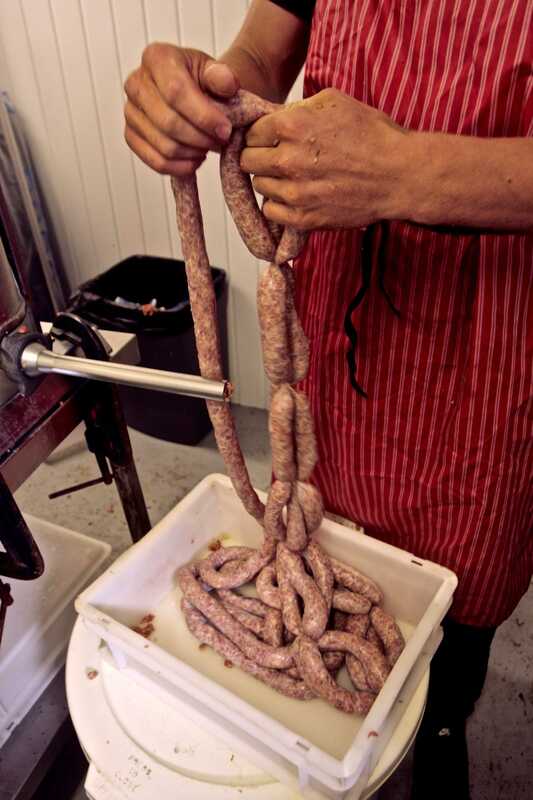 Using Rocky’s pork, the sausages were made just 2 miles from the farm where they happily frolicked, resulting in every chipolata and hot dog being farm fresh and never frozen. Rocky has since taken over Glampig this year, seizing the opportunity to control sausage production directly. This bold move from the youngster means his well-loved pigs aren’t travelling long distances between field and fork, and he can manage his livestock and livelihood in a way that keeps succulent sausages supplied to local pubs, restaurants and shops. Glampig have produced over 20 varieties of sausage this summer, including popular gluten-free versions and bespoke sausages made for weddings and other special occasions. For me, there is no greater example of putting the best into something than the humble sausage. A mainstay in our diets from summer barbecues to winter casseroles, it is all too convenient to find cut-rate mass produced sausages from anonymous farms filling the shelves in supermarkets, but to get the most out of such a key ingredient it really is best to go back as close to the source as possible.